This course is intended to assist anyone who practices MRI to gain an understanding of MR systems and principles. The content of MRI in Practice uses a theoretical concept approach as to how technologists and radiographers make appropriate selections at the MR console which in turn allows for greater expertise in image interpretation. In addition to systems and principles other areas covered in this course include: pulse sequences, image acquisition and parameters, parallel imaging techniques and new sequences such as balanced gradient echo. While reading this course terms and theory will be explained to the reader and reinforce magnetic resonance so that the function and operation of MRI systems can be fully maximized and appreciated. 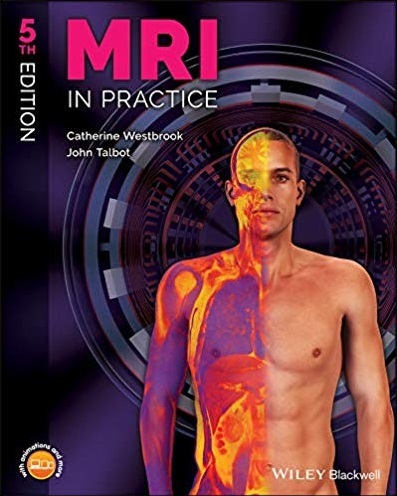 This course is based on the textbook, MRI In Practice 5th Ed. authored by Catherine Westbrook and John Talbot ©2019. This course has a corresponding posttest containing 120 multiple choice and true/false questions.